Today is the day which must be said to have been the starting point of a number of odd and inexplicable events. It was the start of a process that would lead to the arrest, sketchy trial and subsequent execution of Richard Grey and Anthony Woodville, the summary execution of Lord Hastings, the pronouncing of a number of children, among those the heir to the English crown, as illegitimate and not least, the disappearance of the princes in the Tower. So, what was it that happened today that initiated this chain of events? 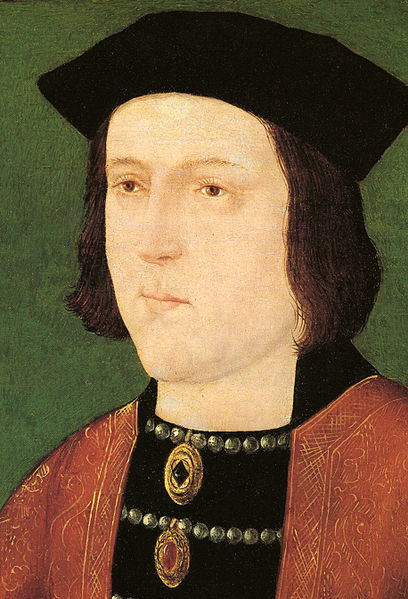 Edward IV died. After taking what is said to have been a fishing trip on the Thames, during Easter 1483 and was bedridden for a number of days, during which he added some codicils to his will, one of which named Richard, who at the time was in Yorkshire, as the Lord Protector during his son Edward´s minority. Now, maybe more than ever, speculations are rife as to what would have happened if Richard had followed the wishes of his brother and seen to that his eldest nephew had been crowned. How would history have played out if there had actually been a king called Edward V who in his youth had been counselled by his two uncles, Richard, the Duke of Gloucester and Anthony Woodville, the Earl of Rivers. No amount of digging, DNA or search for lineage (referring to the search and research around the discovery of Richard´s remains) will of course tell us that. But it´s clear that it didn´t play out as King Edward IV had planned as he drew his last breath.